Log in to get submission discounts, take notes and favorite festivals. Near Nazareth Festival ( NNF ) invites all film lovers to partake in our celebration. Near Nazareth Festival hospitably opens its doors to filmmakers. Festival participants from around the world will show their works. We believe that the best place for them to present their work - is Near Nazareth Festival. Our festival - NNF - is the first of its kind. CFIFF aims to encourage diverse content from diverse creators. We are excited to invite you to take part in our 3rd year and hope you'll continue to be involved for many years to come. CFIFF runs film and screenplay competitions monthly. The winners of the monthly competitions will automatically be entered into our annual competition where overall winners will be selected. 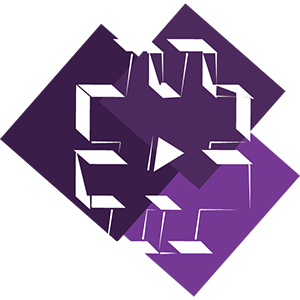 The NZ Web Fest curates and celebrates online entertainment, and is a proud participant in the Web Series World Cup. 2019 sees our fifth edition, and we wish to introduce a new programme strand of shows for children/youth. This year we especially encourage submissions which target that demographic. Submissions for #NZWF19 are open 1 February - 31 August. 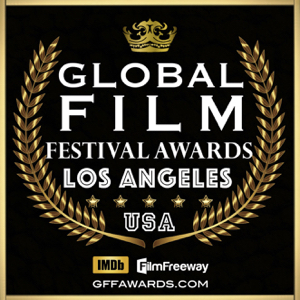 Full submission, category and award information is on our FilmFreeway page. #NZWF19 will run Saturday 16 - Sunday 17 November 2019 in Auckland, New Zealand. Welcome to GLOBAL FILM FESTIVAL AWARDS. We are a monthly and annual competition based in Los Angeles. We want the best worldwide film stories to promote filmmakers’ works for distributors. The GFFA is an open door for independent filmmakers. It's a special jury formed by Hollywood producers, European and international distributors to promote films and new media. What's the difference between submitting your project to GFFA and other film festivals? GFFA is not the typical film festival that promotes only local artists. We have an original global channel with partners. To date, our press crew around the world includes press in the USA, Canada, England, Denmark, French, Italy, Spain, Japan, Australia, Argentina, and Brazil. We understand the difficulties independent producers face to have a fully analyzed project. Our judging team is looking for potential films and filmmakers for scheduled meetings with executives from the film and television industry. GFFA is an opportunity for independent showrunners, directors, and producers to meet with a worldwide audience. Every month, our jury will award the best independent filmmakers through private screenings. Every submission can submit to as many categories as fits the film to increase the chances of winning. We also provide honorable mentions for filmmakers who may not necessarily win but who should be acknowledged for their work. All the annual winners receive the prestigious Golden Star trophy, and monthly winners may contact our team to order their trophy and pay the production and shipping costs. The GFFA Public Event will celebrate the "Best of Year" competitions. The Global Film Festival Awards has the honor of hosting eight exclusive artists on our team. The GFFA family is made up of diverse professionals who are looking for unique and creative films from around the world. The 11th Annual DTLA Film Festival will be held October 23-27, 2019. Our primary screening venue is Regal L.A. Live Stadium 14, the only multiplex in downtown Los Angeles, featuring state-of-the-art a/v equipment and facilities. The multiplex is part of the larger L.A. Live entertainment complex featuring 25 restaurants and lounges as well as the Grammy Museum, the Staples Center and other entertainment venues. DTLA is the hub of Los Angeles, and L.A. Live is the hub of DTLA. This year's festival will be bringing back it’s screenwriting competition accepting features, shorts and TV Pilots. There will be a live table read for the grand prize winner and other prizes to be announced. Set in historic center of the Film Capital of the World, DTLA Film Festival (Downtown Film Festival Los Angeles) has as its mission to exhibit a wide array of independent films by and about groups traditionally underrepresented in the commercial Hollywood film industry, notably women, people of color and members of the LGBTQ community. The festival also strives to reflect the unique cultural diversity of the neighborhoods of DTLA and L.A.’s surrounding Eastside communities – home to more ethnic groups than any other place in the world. Finally, the festival embraces DTLA as a nexus of the New Urbanism movement. It provides a platform for films that explore the history, architecture, cultural diversity and contemporary social and political issues of the modern urban landscape. At the same time, it strives to call attention to DTLA’s historic and increasing important role In Los Angeles’ creative industries where film, music, video games and digital entertainment media converge. We have 4 categories in 2019: SF3 Best Film (films 20 mins and under), SF3 Best Feature Film, SF3 Kids (for filmmakers 16 and under) and SF360 Award (360 and VR videos). Everyone has a great idea for a short film and a potential movie camera in their pocket, so no excuses. Here’s your chance to start filming and be in the running to share in over $30,000 worth of prizes and have your film screened on one of Australia's premiere screens in front of a global audience. Our finalist films and one feature film will be selected from all the entries to screen at SF3 2019. We will be holding three live screenings and awards in an exciting venue partnership with Australia's largest cinema and home to premieres and Hollywood Galas, Event Cinemas George St, in Sydney. Our Gala will be held on Sunday 15th Septmeber with our very first feature film premier and our second SF3 Kids Screening and Awards, being held on Saturday 14th September along with a masterclass and networking filmmaker meetup and red carpet events. Our 2018 Gala Finals were a complete sell-out at the Sydney Opera House and our SF3 Kids and Shortlist Screenings were held at Event Cinemas Bondi Junction. From 2015-2018 we held our Gala Finals at the iconic art deco Chauvel Cinema in Paddington, Sydney. All films MUST be shot entirely on a smartphone or tablet, meet our time requirements and you can use any editing software, apps and phone additions, and you can edit on a PC, laptop or your phone. SF3 is proud to award over $30,000 worth of prizes from our amazing sponsors including prize packs from The Pocket Film Academy and the #Filmbreaker Movement, Luma Touch, Final Draft, Rode Mics, The Hub Studio, Screen Actors Workshop, Power Productions and Story Board Quick, the Australian Cinematographer's Society, the Australian Director's Guild, Screen Producers Australia, the Australian Writer's Guild, iOgrapher, iPitch TV, Laugh Masters Academy, Anthony Mora PR for Filmmakers, Ribbet, Charliee Presley & NIDA. Prizes awarded: SF3 Best Film, SF3 People's Choice, Best Director, Best Cinematography, Best Screenplay, WIFT Women In Film Award, Best Actress, Best Actor & Best Kids Flick (for under 16s), Founders' Flick Pick, Best Community Film Award and Best 360/VR Video. Bahamas International Film Festival (BIFF) is a unique and intimate Film Festival taking in the Bahamas. BIFF offers much to the filmmaker by way of networking in a relaxed, island atmosphere while simultaneously providing all the amenities of an excellent festival. Movies are screened multiple times in several islands throughout The Bahamas such as Nassau and Eleuthera, giving the filmmaker excellent exposure and hospitality, each filmmaker being treated with personal and professional service. Welcome to the Culture & Diversity Film Festival! We celebrate the many colors of our lives and our world by screening a variety of films from around the globe. We honor the filmmakers with awards and prizes, and host parties and gatherings for filmmakers and the local community. Our venue is the world famous Redwood Cafe in Cotati, CA in the heart of wine country. We accept shorts, features and music videos, and our submission fees are as low as $5. We look forward to watching your film! Recently voted one of the top 30 genre film festivals in the world by Movie Maker magazine. Grimmfest (first weekend in Oct, Manchester UK) is a truly independent genre film festival, committed and dedicated to sharing great movies from both new and established filmmakers from the world of genre cinema. We pride ourselves on premiering the very best in new horror, cult, extreme fantasy and sci-fi movies. 2019 is our eleventh year. We have over £120K worth of prizes for award winning movies and our sponsors include The Horror Channel, Fangoria, Rue Morgue, Shudder, Dread Central, Final Draft and more. SEIFF is a true celebration of independent film which brings together filmmakers, writers, film shakers and the movie-going public in a warm, convivial environment. With a focus on increasing opportunity for independent filmmakers and writers, SEIFF looks to promote and exhibit exceptional work by creatives from around the globe and help them make valuable connections - while increasing the audience for their work. SEIFF is more than just a film festival, it's an unforgettable experience for all involved, making SEIFF an essential industry event. A multi-award-winning jury panel including BAFTA/Oscar/Emmy winners, agents and producers, all official selections and shortlisted screenplays meet at our invite only networking event and will receive a full festival pass. 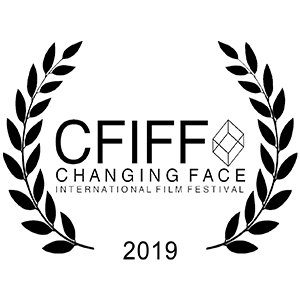 SEIFF in 2019 now accepts web series and also this year will present an award for best Canadian film. All official selections in all categories will be reviewed on imdb and get an invite to our private festival networking event with industry alumni and judging panel. SEIFF presents a diverse programme of only the highest quality independent feature films, animation, documentaries, short films and web series from all around the world. SEIFF looks to make important discoveries of upcoming directors, actors, writers and all those involved in the filmmaking process, ensuring it’s a renowned and valued platform for both undiscovered talent and respected industry peers alike. Our key objective is for SEIFF to be seen as a mark of quality and a SEIFF award to be a stamp of recognition and true validation. With a large number of exceptional films being made that struggle to gain attention but deserve to be seen by critics, agents, peers and film lovers, SEIFF aims to bring to the festival the most superlative and creative films. SEIFF prioritises making the festival an attractive destination for agents, critics, investors and other career-makers. The festival includes networking, Q&As, screenings, social events and special guests. Our closing annual awards ceremony at the world famous Queen's Stand, Epsom Racecourse, gives recognition to the best talent in front of and behind the camera with a gala ceremony open to filmmakers and the public. 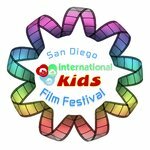 The San Diego International Kid's Film Festival promotes the idea of entertainment with education. Films are made by youth and adult of worldwide. The Festival have film screenings, industry panels; film market; Opening Gala, Red Carpet, Award Ceremony, International film maker reception. Also, cultural fashion competition as cross-cultural exchange event. 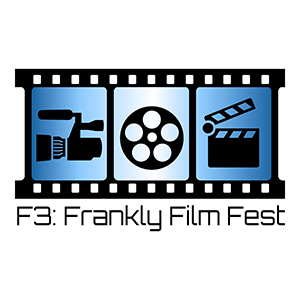 Founded in 2004, by Frankly Zoe Productions as a one off festival to promote their Youth Summer Movie Program, F3: Frankly Film Fest screened 27 films during their first season. In 2016 Frankly Zoe Productions decided to resurrect F3 in conjunction with the Tenth Anniversary of Un-Con. In keeping with the "all genres are welcome" theme of the Un-Con, F3 is an all genre festival, with a focus on sci-fi, fantasy, thrillers, animation, and fan films. Our panel of judges, all with extensive backgrounds in the independent film industry, pick the best of the best from all of the submissions. On Saturday night when the screenings wrap, awards will be presented for in various categories. We are now in our fourth year. The festival takes place at the Miami Centre Mall in Piqua, Ohio. Moondance, established in 1999, is known as the unique "Film Festival Without Borders", and features the very best of indie films, music & writing by talented artists from around the world. Plan now to participate in this unique competition and film festival, based in beautiful Boulder, Colorado, USA! The secret to our international success and longevity can be directly attributed to upholding our founding principles, integrity, goals, values and vital mission. We strive to inspire talented filmmakers, writers, composers and audiences, locally and globally. The Moondance International Film Festival has distinguished itself around the world as much more than an annual film festival! The Moondance is a unique community, a supportive, productive, and creative year-round collaboration between independent filmmakers and movie audiences, between writers, music composers and the world of top-quality filmed entertainment. Subscribe now to the Moondance news-blog! The Oniros Film Awards is a monthly and annual IMDb qualifying competition based in Aosta, Italy, which celebrates films from all around the world with awards in different categories and genres. The OFA allows filmmakers to submit their projects to get it judged by award winning industry professionals specialized in various fields and compete with other talented filmmakers. Our mission is to discover quality and ambitious films, to promote filmmakers’ works and to help them realize their dreams. The Oniros Film Awards is all about Dreams (ὄνειρος = oneiros, Dream in Greek language), ours and yours. 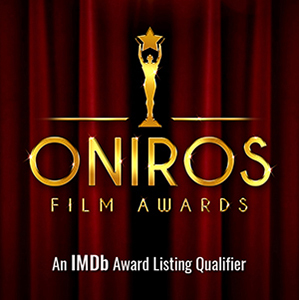 The Oniros Film Awards is conceived by Dreamers for Dreamers. Dream Big, always! Epic ACG fest is a unique event showcase animation, comics and games. Though screening, exhibition and competition, bring together the creative elements, the artists and the general public from worldwide. During the festival, EACG is also hosting the Live Demonstrations, Networking Receptions, Master Workshops, Panel Discussions, Business Symposiums, Recruiting and the Professional Exhibits offered throughout the event as well as the One-On-One Personal Consultations with creative professionals from top studios and educational institutions both local and international. The Award ceremony is a red carpet event that provides recognitions and great memories. The primary objective of the Columbus Black International Film Festival is to showcase Black filmmakers locally, nationally and internationally, while highlighting a spectrum of stories told by people of the African diaspora. This festival will also provide an advantage for filmmakers and the community to learn about the film industry through educational workshops and panel discussions, a safe space to showcase film and an opportunity to network with the filmmakers in the city. Columbus is the heart of America and home to some of the most creative Black filmmakers in the country. This festival that will showcase new and emerging talent as well as talent that has represented our city for years. SLEEPY HOLLOW INTERNATIONAL FILM FESTIVAL (SHIFF), a celebration of outstanding genre cinema in the very cradle of the American Supernatural is taking place in Sleepy Hollow and Tarrytown, NY, on October 10-13, 2019, and is now accepting film and script submissions! Be a part of this wondrous exploration of creative cinema, right in the heart of the historic Hudson Valley region, during its legendary Halloween season! This special place, this remarkable hollow of the indescribable, bewitched not only Washington Irving, the author of the legendary short story, but also artists of every creative pursuit for the next two centuries—including masters of the cinematic arts. SHIFF celebrates this legacy of artistic inspiration and achievement. In addition to the bicentennial of his story—and an uncanny happenstance worthy of Irving himself—2019 is also the 70th anniversary of the beloved 1949 Walt Disney animated classic The Legend of Sleepy Hollow, and the 20th anniversary of Tim Burton's acclaimed 2009 feature film, Sleepy Hollow. The festival will commemorate both of these big-screen landmarks with one-of-a-kind event showings. But it is not enough to look back. Just as Irving used the Hudson Valley as a wellspring of extraordinary ideas to push his art forward, SHIFF strives to bring important works from current and future filmmakers into the world with exciting new films and unproduced screenplays in competition, and premiere screenings. The festival's advisory board, selection committees and jury will include film and literary professionals with industry experience who will program and award new films and unproduced screenplays of quality, of all genres, and that touch upon, relate to or simply explore the otherworldly or unknown. The 1st place winner of SHIFF's UNPRODUCED SCREENPLAY COMPETITION will be presented with a statuette at our closing night awards ceremony, in addition to a cash prize of $500, and an InkTip prize package. 2nd and 3rd place winners will be announced at our closing night awards ceremony, and will win a cash prize of $250 each, and an InkTip prize package. All three winners will be posted on SHIFF's official site and socials, announced on our "winners" PR blast to media outlets, and published in the fest's "winners" article in the Hudson Valley area newspaper, the River Journal. ECA is Monthly and Annual qualifying film competition for filmmakers worldwide. We support new and student film-makers, who are just beginning their careers with a supportive and enthusiastic audience for their creative efforts and giving them access to film industry professionals who can offer guidance and other forms of career assistance. 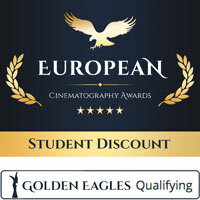 Cinematography AWARDS officially called the “Golden Eagle” is an award in the form of a statuette for outstanding achievements in the field of cinematography. 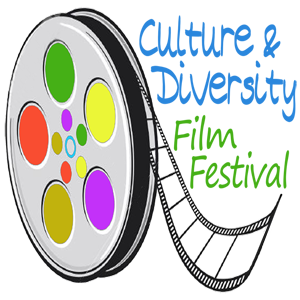 We only award the best independent filmmakers after a comprehensive evaluation process. Our judges evaluate the quality of filmmaking, creativity, and storytelling ability. Our mission is to promote films, and be another step up in the filmmakers' careers. Now Open for Short Scripts and Films! The Waterford Film Festival was established in 2007 by local filmmaker Stephen Byrne. His objective was to bring something new to Waterford's arts and cultural scene, promoting local, national, and international filmmakers and writers, but in particular independent film. Since the foundation of the festival, we have screened 600+ films from filmmakers around the world as well promoting writers with the short screenplay competition. The WFF is the first film festival in the Republic of Ireland to hold a short screenplay competition. Filmmakers from across Ireland, UK, France, Germany, Holland, Spain, Greece and as far as Canada and USA have attended the festival. In 2018 the festival had a record breaking amount of submissions with filmmakers and writers sending in projects from 30 countries across the globe. It is estimated that since the festival was established in 2007 that the local economy have benefited from the festival in excess of €600,000 in tourism. To date the festival has awarded prizes worth in excess of €40,000 with our partners at FilmLab and sponsors. The festival presents short films of a wide range of genres including drama, thrillers, horrors, comedy, Sci-Fi, True stories. Each year we produce a series of events that are creative, interesting, fun and entertaining. In 2019 the festival will be celebrating its 13th Annual Event and Central Arts will be hosting the event from Friday 22nd November to Sunday 24th November. NewFilmmakers Los Angeles (NFMLA) is a non-profit 501(c) 3 organization designed to showcase innovative works by emerging filmmakers from around the world, providing a forum where filmmakers can be recognized for their contributions, have open audience discussions about their projects and connect with industry professionals for insight on distribution, production, acquisition and representation. Submission fees are $25 (LA Local), $30 (non-LA Local Student), $35 (Shorts) and $40 (Features).